Energy usage by the Bitcoin network currently uses more power than some countries and is set to triple by the end of 2018, a research study by a leading economist has revealed. Alex de Vries, founder of crypto blog Digiconomist, estimates that computers part of the bitcoin blockchain, or miners, are currently calculating 26 quintillion hashes, in the first peer-reviewed article quantifying bitcoin energy consumption. The economist says this means miners are using 2.55 gigawatts of power–almost as much as Ireland–and will surge to 7.7 gigawatts by the end of the year, the same level as Austria and a half per cent of the world total. “To me, half a percent is already quite shocking. It’s an extreme difference compared to the regular financial system, and this increasing electricity demand is definitely not going to help us reach our climate goals,” he says. De Vries finds that Bitcoin’s burgeoning energy needs have already doubled since 2017, due to both an increased interest in bitcoin and also because it takes more energy to mine the undiscovered bitcoins still remaining. Mining was once done at homes using a personal computer before evolving into specialized farms where rows of machines carries out blockchain calculations on a mass scale. De Vries’ numbers points to a single bitcoin transaction using about as much electricity as a typical household in a developed country such as Canada or the United States, with some 200,000 transactions a day worldwide. “Bitcoin has a big problem. And it is growing fast,” wrote the economist. While De Vries argues that energy consumption will rise and threaten the efficiency of crypto mining, others say he has missed key factors in the present day and for what is coming in the future. News BTC’s Tim Copeland argues that access to cheap electricity in certain geographic areas–naming Canada, Iceland and some U.S. regions as examples–along with the rise of renewable energy could make the study “a trivial issue”. One such company that sells hobbyist mining rigs is looking to raise some $2 billion in an initial public offering, or IPO. However, Canaan is expected to present itself to investors not as a bitcoin or crypto company, but as a chip designer focused on developing markets in artificial intelligence and blockchain, reported Reuters news agency on Monday. The company’s profits multiplied sevenfold last year during the bitcoin value boom from $1,000 in January last year to more than $19,000 in December, before dropping to its current status where one bitcoin is worth about $8,400. “Their customers happen to be bitcoin miners. But they are a chip company, not a bitcoin company,” a source with knowledge of the upcoming Canaan IPO told Reuters. 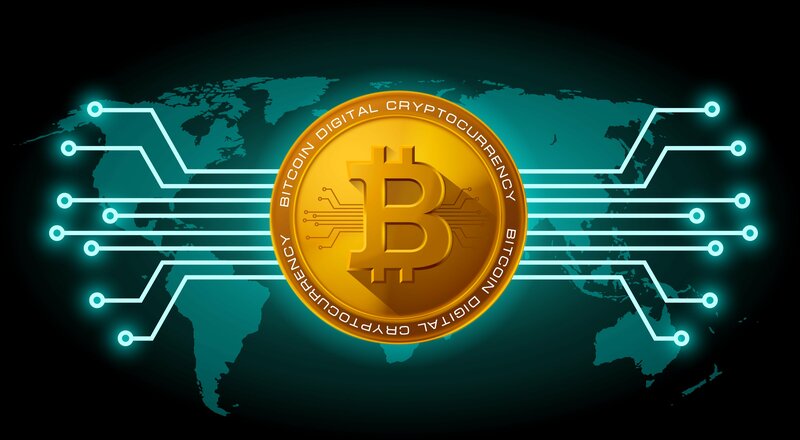 While bitcoin and cryptocurrencies in general may be fluctuating in terms of its value, the industry for digital currency continues to surge in some underdeveloped countries and become more present in developed nations. The activist has stated that he will challenge a Pence/Haley ticket that Trump may back in 2020.